US regional lender BB&T Corp said it will buy rival SunTrust Banks Inc for about $28 billion in stock. The banks hope to close the deal later this year. The timetable would have been improbable before the administration of US President Donald Trump began easing crisis-era regulations, which had restricted expansion and boosted scrutiny of banks. 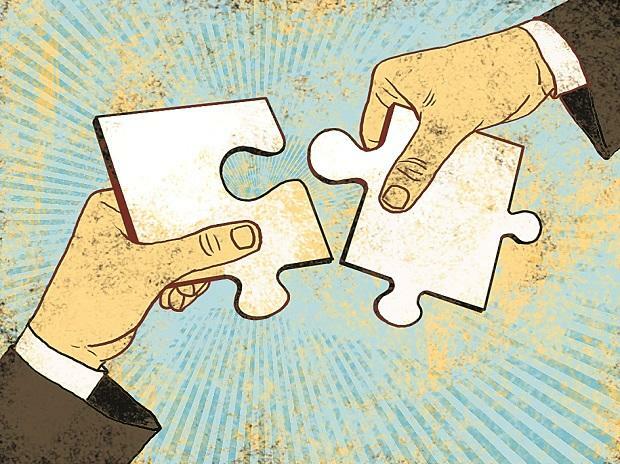 "The BB&T/SunTrust merger will open more eyes on the potential for more sizeable bank M&A to occur," Jefferies analyst Ken Usdin wrote in a client note. "The business has been changing and will be changing," SunTrust Chief Executive William Rogers said. "This gives us the opportunity to be absolutely the most competitive bank." The combined company will operate under a new name and have around $442 billion in assets, $301 billion in loans and $324 billion in deposits. It will rival US Bancorp, which has about $467 billion in assets. Its footprint will cover the US East Coast, with new corporate headquarters in Charlotte, North Carolina. The combined company will retain operations in Winston-Salem, North Carolina, and Atlanta, the home markets for both companies. "The end result of the transaction is a very powerful company in some of the best markets in the United States," he said. McEvoy said he expects the market's positive reaction to the deal to drive similar transactions throughout the year. Regional bank stocks, including KeyCorp, Comerica Inc and Regions Financial rallied on Thursday. Super regional banks, with typically have between $50 billion and $500 billion in assets, have been grappling with how to grow with fewer resources than the four largest US banks like JPMorgan Chase & Co and Bank of America Corp.
Deal activity in the banking sector languished after the financial crisis a decade ago as stricter rules were imposed on lenders with more than $50 billion in assets and regulators barred banks with compliance issues from expanding. Changes in US tax laws have lowered corporate taxes, freeing up capital, and Wall Street has long been expecting a wave of dealmaking in banking. On Dec. 7, the Federal Reserve Board quickly approved two of the largest bank mergers of the year, Cadence Bancorp's merger with State Bank Financial Corporation and Synovus Financial Corp's merger with FCB Financial Holdings. A Wachtell Lipton memo said the speed of the approvals was evidence of an "increasingly favourable regulatory environment for bank M&A." As part of the deal, SunTrust shareholders will receive 1.295 shares of BB&T for each share they own. The per share deal value of $62.85 is at a 7 percent premium to SunTrust's closing price on Wednesday, according to a Reuters calculation. Analyst Stephen Scouten of brokerage Sandler O'Neill said he expected the deal to get regulatory approval. "These are both very clean banks. So ultimately, (it) should get done." Kelly King, BB&T's chief executive officer, will be CEO of the combined company until Sept. 12, 2021, after which SunTrust CEO Rogers will take over. RBC and Wachtell, Lipton, Rosen & Katz advised BB&T while Goldman Sachs along with the investment banking unit of SunTrust and Sullivan & Cromwell advised SunTrust.